Writing is an essential skill for students of all ages. It allows students to make sense of—and communicate about—what they have read and the world around them. It helps students learn to express opinions, make effective arguments, persuade audiences, synthesize information, and so much more. 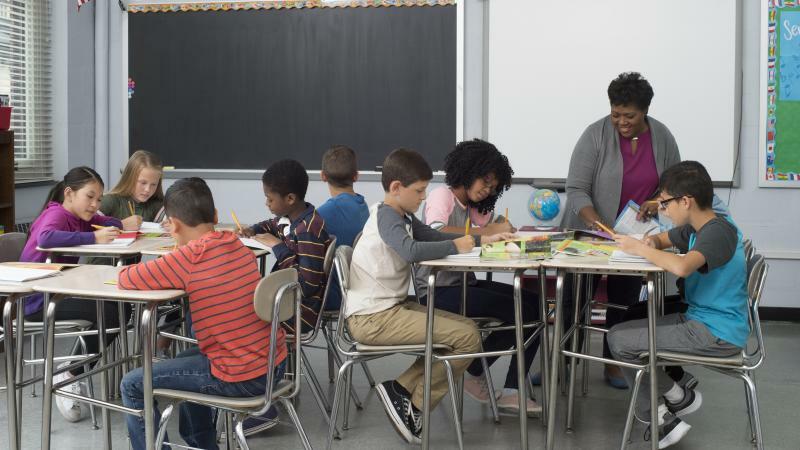 We spoke with Pam Allyn, Founder of LitWorld, literacy advocate and SVP of Innovation and Development for Scholastic Education, to discuss why teachers and administrators should support the daily instruction and practice of writing skills. Q: Why is writing such an important skill to develop? Pam Allyn: From the earliest times, when humans drew pictures on walls, to now, as we text message our beloveds and colleagues, writing is what E. M. Forster meant when he said, “Only connect.” Writing is about the way we find each other in this world, in a universe that can be isolating. Writing helps us be more understood and helps us to understand others and ourselves. And on a day-to-day basis, writing is putting us in touch with the world. We can apply for a job, send a love letter, tell our story, or express an opinion. From the simplest message to the most complex standardized test, writing gives us authority and power to create our own best outcome. Q: How does writing help students become better readers? The literacy learner is constantly engaged with the world of words and stories, trying out genres, craft, conventions, and tone, so that when she goes to the page as a reader, she is not the same. She is part of the community of authorship: She knows what goes into it. Her appreciation for great writing is stronger. Her awareness of language use and precision is deeper. Her knowledge of qualities of genre and craft are more pronounced. She writes, and she becomes a reader. Q: What can administrators do to encourage more writing in the classroom every day? PA: One, educational leaders need to make a big commitment to the teaching of writing as a separate subject area, not as something to do on the side. We need to expect that in every classroom, at every age/grade, there will be at least 30 minutes of writing instruction a day. And that time should feel joyful and purposeful for our students, where they get to write about topics that really matter to them. Two, the writing instruction should be connected to the reading instruction in terms of genre exposure, craft practice, and the use of literature across both experiences. Administrators need to provide teachers with the kinds of authentic texts that will inspire their kids as readers and writers. These types of texts include graphic novels, magazines, blogs, funny picture books, alphabet books, and nonfiction texts about fun and interesting things. Then kids can write in the same vein because they can really see what’s possible. And three, educational leaders need to create time for celebrating writing and making it public. Have writing celebrations with families, your school community, and even the community at large to share what kids have written. Celebrate, love, and adore the stories children tell. Q: How can we encourage writing in the content areas? PA: We need to make sure we are talking about writing in the content areas and giving kids a chance to write more authentically in those areas—not just to answer a series of teacher-driven questions, but writing about topics they care about. In science and social studies classes, the writing experiences tend to be mostly about reporting on information. Let’s instead put a mini-writing workshop into every content experience, giving kids a chance to read mentor texts that reflect those rich topics of science and history. Let’s then say, “What topic do you want to explore?” and then give them a chance to write in the spirit of those great authors. Writing workshop is not just for ELA time. It’s for all of us, all day long. To find more resources to support the instruction of writing, visit www.scholastic.com/education.